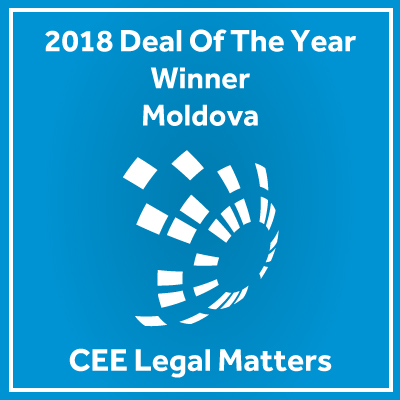 In premiere for Moldova, Gladei & Partners took home the CEE Legal Matters Deal of the Year 2018 award. Gladei team assisted EBRD, Invalda and Horizon Capital in acquisition of equity interest in the largest Moldovan bank Moldova-Agroindbank. CEE Legal Matters Deal of the Year 2018 awards feature the most remarkable deals (one per jurisdiction) in 22 CEE countries. Gladei & Partners have reassured the position of Top Tier law firm. The 'reliable and trustworthy' Gladei & Partners works primarily for international financial institutions and banks. The firm combines 'deep practical knowledge of the local legal system with vast experience of dealing with international companies and issues'. It has particular experience in advising on large-scale bank acquisitions, cross-border financing and debt restructuring projects, as well as increasing activity in data protection issues. The 'well-respected market champion' Roger Gladei leads the firm’s corporate and commercial practice and can call on the expertise of litigation and arbitration specialist Vitalie Ciofu. The team advised Glass Container Company on borrowing €13m to finance the modernisation of a glass factory, and assisted Kaufland with real estate acquisition and development matters relating to its expansion in Moldova. Other key clients include Siemens, Zurich Insurance and The World Bank. The Legal 500 is an independent guide, in which law firms, sets and individuals are recommended purely on merit. The Legal 500 Series' analysis of law firm capabilities extends to 125 jurisdictions worldwide. "They always come up with solutions"
What the team is known for Highly respected for its banking and finance expertise, the firm advises a number of banks on financing, acquisitions and restructuring matters. Also acts for major international financial institutions on their investment projects in Moldova. Also advises foreign investors on investing in the country and general corporate matters. Involved in IT projects financed by international creditors and lending to SMEs. Recently active in the industrial manufacturing and retail sectors. Strengths Sources emphasise the team's tailored advice, with one highlighting the lawyers' "ability to advise on how to achieve goals while minimising legal risk," while another interviewee says: "They are very responsive and will always come up with solutions." Work highlights Advised Glass Container Prim on the restructuring of its large-value loan provided by local and foreign creditors. Advised EU Holding on the potential acquisition of a qualifying equity interest in a leading Moldovan bank. Significant Clients EBRD, Kaufland, Microsoft, Zurich, Eximbank. Managing partner Roger Gladei is widely recognised for his banking and finance expertise. He also assists clients with general commercial matters. "He puts all of his experience to use to provide the most optimal solutions,"a source says. Senior associate Aelita Orhei acts on the firm's key corporate and commercial matters. "She is investigative, with a broad understanding of different types of deals," comments one client, while another source describes her as "constructive and committed." She also acts on contentious cases, particularly in mediation. Senior associate Viorica Bejan enters the rankings this year as a result of positive market feedback. She assists with general corporate matters, acting on the firm's key deals. Sources note her attention to detail and solution-focused approach. What the team is known for Top-notch disputes practice with special expertise in handling cases in the banking sector. Active representing banks as creditors in debt collection matters. Also acts for a number of Moldovan companies. Active in alternative dispute resolution, including arbitration, mediation and out-of-court settlement. Additionally, assists with labour disputes and trade mark rights conflicts. Recent new clients include EGIS International and Rio Bucovina. Strengths According to sources, the team has excellent problem-solving skills: "These lawyers would find a solution where others would vow there is none." Vitalie Ciofu is the firm's key litigation partner and is reputed for his experience in disputes. He has a strong track record of acting on high-profile cases, predominantly defending creditors in banking and finance disputes. Managing partner Roger Gladei is best known for advising banks on contentious matters. According to one source, "he brings strong strategic advice and is one step ahead of the opponent." Viorica Bejan is a key team member on the major contentious matters handled by the firm and frequently represents defendants in litigation. Sources highlight her ability "to turn the client's problem into a success story." One of the best firms in the market', Gladei & Partners stands out for its expertise in banking and finance, regularly handling bank acquisitions, cross-border financing and debt restructuring. Managing partner Roger Gladei, who is 'a leader in banking and finance legal advisory work', advised Glass Container Company on a €7.5m EBRD loan. Another highlight was assisting Kaufland with multiple property acquisitions. What the team is known for Highly respected for its banking and finance expertise, the firm advises a number of banks on financing, regulatory and litigious matters. Acts for major international financial institutions on their investment projects in Moldova. Advises foreign investors on investing in the country, as well as on general corporate matters. Recently involved in both IT projects financed by international creditors and lending to SMEs. Strengths Sources highlight Gladei & Partners' communication and work style. One client comments: "They are friendly and straightforward in interaction," adding: "They did not get lost in details and formalities." Another client says: "They are thinking commercially and are solution-driven." A client notes that Gladei & Partners has "good and versatile knowledge of various commercial law aspects." Work highlights Advised ProCredit Bank Moldova on a EUR10 million loan facility received from the Central European Bank to finance SMEs in Moldova. Assisted EBRD with providing a EUR6.2 million loan to La Triveneta CaviMoldova. Significant clients Mobiasbanca Groupe Societe Generale, World Bank, FMO, EFSE, Kaufland. Managing partner Roger Gladei is mostly recognised for his banking and finance expertise, having previously worked as an in-house lawyer at one of the Moldovan banks. He also assists clients with general commercial matters. "He did a good job. This was not a straightforward matter, you really had to think outside the box," a client reports. "He went an extra mile," another adds. Aelita Orhei is a senior associate who acts on some of the key corporate and commercial matters. She also acts as a mediator. What the team is known for Well respected for its expertise in handling cases in the banking sector, and has recently been active in representing banks as creditors in debt collection matters. Also acts for a number of Moldovan corporates. Active in ADR, including mediation and out-of-court settlement. Additionally, assists with labour disputes and IP rights conflicts. Strengths Sources note the team's flexibility and adaptability, with one source describing it as "a strong and efficient team," adding that advice is based on a "perfect combination of experience and innovation." Another source says the team is "very resourceful yet highly loyal." Work highlights Represented Victor Turcanu, the chairman of the board of directors of a local bank, in a large-scale dispute over alleged reputational issues with another Moldovan bank. Successfully defended SADE, which was taken to court by a third party in relation to a contract breach on the part of its subcontractor. Significant clients BCR Chișinău, ProCredit Bank, MobiasBanca, Credit Rapid, CTI-Capital. Vitalie Ciofu is the firm's key litigation partner and a "market veteran" who has recently predominantly defended creditors in bankruptcy cases. Sources say his "results speak for themselves. He is modest but tremendously effective." Another source adds that he is "an opponent to be afraid of." Managing partner Roger Gladei is recommended by clients for his commercial approach. Clients say: "Roger Gladei is terrific, both in court and in negotiations." He is best known for advising banks, including in contentious matters. Associate to watch Viorica Bejan enters the rankings as a result of positive market feedback and appearance on the firm's significant cases. "She is a real discovery for us, finding the best arguments and building the winning argumentation." Gladei & Partners have consolidated in the Top Tier. The 'professional and committed team' at Gladei & Partners has 'an unrivalled combination of experience and flexibility and a Western approach to legal services'. In particular, Roger Gladei, who 'always finds a solution when others would bet there is none'; Vitalie Ciofu, who leads a strong litigation team; and 'versatile and talented' senior associates Viorica Bejan and Aelita Orhei, who has 'deep knowledge of business law'. Gladei and Bejan advised ProCredit Bank Moldova on €10m loan from the Council of Europe Development Bank. The firm acted for European retailer Kaufland on its multimillion-euro expansion into Moldova. Gladei & Partners is ranked again as a leading firm in Moldova. Managing partner Roger Gladei is mostly recognised for his banking and finance experience and expertise, having previously worked as an in-house lawyer at one of the Moldovan banks. He also assists clients with general commercial matters. "He did a good job. This was not a straightforward matter, you really had to think outside the box," a client reports. "He went an extra mile," another client adds. Aelita Orhei is a senior associate who acts on some of the key corporate and commercial matters. She divides her time between corporate matters and acting as a mediator. Gladei & Partners has a good track record acting for international finance institutions working in Moldova. The firm's client list includes the likes of Société Générale, Moldova-Agroindbank, the European Bank for Reconstruction and Development (EBRD) and the World Bank. Highlights for the firm during the research period include advising the European Bank for Reconstruction and Development (EBRD) on a loan provided to cable manufacturer La Triveneta Cavi Development; acting for ProCredit Bank Moldova on a loan provided to it by the Council of Europe Development Bank; and acting for FMO on a loan provided to alternative lender Microinvest. What the team is known for Highly revered for its banking and finance expertise, the firm advises a number of banks on financing, regulatory and litigious matters. Known for representing international financial institutions in their investments, including public projects, in Moldova. Also acts on corporate matters. Increasingly active in IT-related projects. "The lawyers are very flexible, want to work long hours to meet our deadlines and deliver to our requirements." "What I like is that the team has flexibility - the lawyers can adapt to our speed, they can get the team together in a short time to get our interests in deals covered and protected in the best way." What's new? Microsoft, Amlin, FMO and EFSE are new clients. Work highlights Represented Chemonics in the establishment of the Centre of Excellence in IT, co-financed by the Moldovan government, USAID and major global IT names. Acted for the EBRD on providing a EUR5 million loan for Gebauer & Griller's greenfield cable manufacturing plant in Balti. Advised The World Bank on a project designed to aid Moldovan borrowers to access affordable financing. Managing partner Roger Gladei heads the corporate practice. He is best known for his extensive knowledge of the banking sector, including working with international financial institutions. "He is very experienced and can handle complex deals," sources say. Another interviewee adds: "He consistently supported us on deals and delivered the results." He also represents clients in contentious cases. Senior associate Aelita Orhei divides her time between commercial matters and acting as a mediator. Significant clients Black Sea Trade and Development Bank, Zurich Insurance, Eximbank Gruppo Veneto Banca, Mobiasbanca Groupe Société Générale, BCR Chisinau–Erste Group. What the team is known for Particularly recognised for its financial services industry expertise. Active in contentious financing cases including large debt collection. Deals with IP rights conflicts, corporate and commercial disputes as well as insolvency cases. Offers further expertise in litigious labour, tax and administrative matters. Also provides ADR advice. "It offered excellent service and also won our cases." "Demonstrated assertiveness in the approach, which we found useful." Work highlights Represented BCR Chisinau - Erste Bank in out-of-court debt restructuring. Acted for Hefmas-Agro on a dispute over the ownership of a pig farm. Vitalie Ciofu is the firm's key litigation partner. "Vitalie Ciofu is a star in court. He is highly experienced and deeply committed," clients confirm. Managing partner Roger Gladei acts on the firm's most important contentious cases. "He focused on finding a solution that would cover our risks," a client notes. Significant clients Mobiasbanca-Groupe Société Générale, FinComBank, ProCredit Bank, Eximbank Gruppo Veneto Banca, CTI-Capital. For the second year, Gladei & Partners have been ranked as Top Tier law firm. Gladei & Partners 'not only knows well Moldovan legislation, but also the requirements of international financial institutions'. The firm advises all international financial institutions that are active in Moldova and international banks such as Société Générale. Its clients report that service is 'very professional, reliable and good value'. The 'very experienced' Roger Gladei advised the European Bank for Reconstruction and Development (EBRD) on a €6.2m loan to Italian cable manufacturer La Triveneta Cavi. Litigation specialist Vitalie Ciofu, 'highly respected' senior associate Viorica Bejan and 'rising star' Aelita Orhei are also recommended. From: The Legal 500. The Legal 500 is an independent guide, in which law firms, sets and individuals are recommended purely on merit. The Legal 500 Series' analysis of law firm capabilities extends to 125 jurisdictions worldwide. Gladei & Partners has gained traction in Moldova in recent years, particularly in the finance area where it primarily acts on the bank side. A client from the agriculture sector who worked with the firm on finance matters says: "I have been very satisfied with the responsiveness and quality of work." A consumer goods sector client who worked with the team on capital markets and M&A matters says: "Top-quality advice on new and complex legal issues, a deep understanding of both the law and practice." Highlights from the past year include Roger Gladei's work for BMW on the review and structuring of local contracts in Moldova. Gladei also led as the team acted for development bank FMO on the grant of a loan to Microinvest, a Moldovan lender, for the purposes of financing small and medium enterprises. On a similar matter the firm also acted for responsAbility Global Microfinance Fund on the extension of a loan to Express-Leasing. In the restructuring space Gladei again led as the team acted for ProCredit bank Moldova on a restructuring matter. In the regulatory space the firm also assisted the World Bank on a review of the Moldovan securities law. 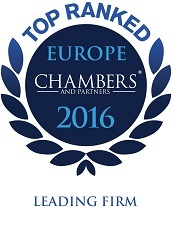 Now Chambers Europe has ranked, in premiere, Gladei & Partners as Top Tier law firm. What the team is known for: Noted for its lawyers' knowledge and expertise in the banking and finance sector, in addition to other areas of commercial law such as M&A, media and intellectual property. The team regularly acts for international clients operating in the Moldovan market, and is highly regarded for its excellent client service. "Outstanding team that understands and anticipates our needs. Gladei lawyers provide international standards of service tailored to the local context." "This is a very strong firm for representing international companies." Work highlights: Advised EBRD on the Moldovan law aspects of a EUR5 million loan provided for a greenfield cable manufacturing plant, opened by the Moldovan subsidiary of Austrian company Gebauer & Griller. Retained by the World Bank to advise on Moldovan legal matters in relation to its ongoing secured transaction reform project. Roger Gladei is "unrivalled" within the market for his strength in banking and finance matters. He represents a roster of impressive clients, including EBRD and Deutsche Bank, and also advises foreign entities on cross-border M&A transactions. Senior associate Aelita Orhei is "an experienced and skilful lawyer" who receives praise from clients for her technical knowledge and great attention to detail. She formed part of the team advising Newgistics USA on its acquisition of Tacit Knowledge and its Moldovan subsidiary. Significant clients: Zurich Insurance, Mobiasbanca - Groupe Société Générale, ProCredit Bank, BSTDB. What the team is known for: Respected practice offering analysis and advice on litigation and ADR matters. Represents numerous international banking clients as both plaintiffs and claimants in a variety of matters, including complex loan recovery disputes. Expertise covers commercial and contractual disputes, competition issues, protection of IP rights and tax litigation. "Its lawyers are top-notch litigators who are excellent in complex cases." "We feel comfortable when the case is handled by these lawyers; we can be sure that no detail will escape their attention." Work highlights: Acted for Mobiasbanca on a number of litigious matters, as both plaintiff and defendant, including corporate lawsuits defending the bank and protecting its reputation. Represented Kronos Business Group in court proceedings concerning shareholder disputes. Vitalie Ciofu is widely recognised for his in-depth knowledge and experience in disputes matters. He is described by sources as a "talented litigator" and an"incredibly efficient lawyer." Recent highlights include leading the team representing Vienna Insurance Management in a damages claim. Aelita Orhei is a senior associate who wins strong praise for her "meticulous and insightful" work in dispute resolution. She recently assisted Cerámicas del Foix with a matter related to debt recovery for unpaid invoices. Significant clients: BCR Chisinau - Erste Bank, FinComBank, ProCredit Bank, Eximbank Gruppo Veneto Banca, CTI-Capital. In premiere, Gladei & Partners have been ranked as Top Tier law firm in the 2015 edition of the Legal 500. Gladei & Partners is 'unparalleled in all respects, anticipating clients' needs and bringing rich experience and deep expertise'. Roger Gladei, who is 'very intelligent, well connected and highly experienced, a true leader and best-in-class professional', advised the European Bank for Reconstruction and Development on a €5m loan to Gebauer & Griller Moldova. Gladei, Vitalie Ciofu - who 'has devoted his life to litigation and is a star in court' - and 'rising star' Viorica Bejan-Diminet represented BCR Chisinau Erste Bank in the first large-scale Moldovan loan assignment deal. Other highlights included advising a foreign investor on a bank acquisition. 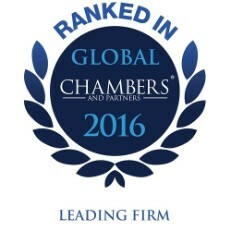 In premiere, Gladei & Partners have been ranked as Band 1 Law Firm, the highest tier of Chambers Global. Roger Gladei is "unrivalled" within the market for his strength in banking and finance matters. He represents a roster of impressive clients including EBRD and Deutsche Bank, and also advises foreign entities on cross-border M&A transactions. "They are the best legal team around," says one client of the team. "They know how to transfer their legal knowledge and skills into value for the client. They are unrivalled in complex and difficult cases and the best value for money." This year the team advised the European Bank for Reconstruction and Development on a €5 million loan for a greenfield cable manufacturing plant opened by a Moldovan subsidiary of Gebauer & Griller. It also assisted the Donaris Group in the sale of 94% of its shares to the Vienna Insurance Group and advised Deutsche Bank on Moldovan law matters related to certain transactions entered under the bank's core business. Another deal the team worked on was assisting BCR Chisinau in designing, documenting, negotiating and closing a loan portfolio sale transaction, resulting in significant improvement of bank's financial position. Managing Partner Roger Gladei has been named the Best Lawyers' 2014-15 Moldova Banking and Finance Law "Lawyer of the Year". 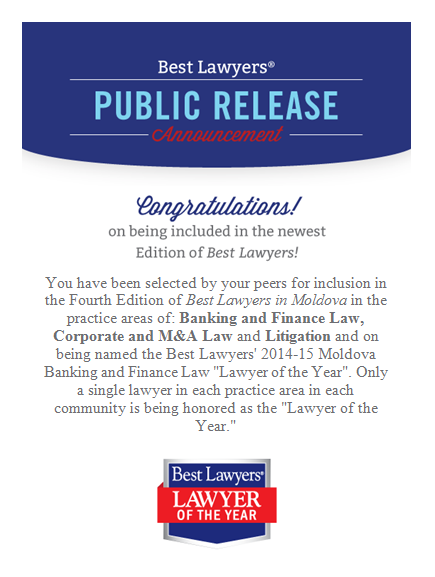 Gladei & Partners has been also selected by their peers for inclusion in the Best Lawyers in Moldova 2014© in the practice areas of: Banking and Finance Law, Corporate and M&A Law and Litigation. Since it was first published in 1983, Best Lawyers R has become universally regarded as the definitive guide to legal excellence. Best Lawyers is based on an exhaustive peer-review survey. Over 52,000 leading attorneys cast more than 5.5 million votes on the legal abilities of other lawyers in their practice areas. Lawyers are not required or allowed to pay a fee to be listed; therefore inclusion in Best Lawyers is considered a singular honor. Corporate Counsel magazine has called Best Lawyers "the most respected referral list of attorneys in practice." What the team is known for: has a commendable reputation for its core banking and finance practice, particularly its work with international financial institutions such as EBRD and IFC. Strengths (Quotes mainly from clients): "It really impressed me: it met a very short deadline and did really good work." "It is up to date not just with the current legislation but also with how it works in practice." "I would highlight this team. I like that it is narrowly specialised and good at it." What's new? Associates Corina Voda and Viorica Diminet-Bejan joined the firm. Chemonics International and The World Bank are new clients. Work highlights: advised Trans Oil Group on raising USD70 million in financing across Moldova, Cyprus and Switzerland. Assisting The World Bank as local legal expert with a project that aims to improve access to financing in Moldova. Notable practitioners: Roger Gladei has a formidable reputation as a banking and finance expert in Moldova. He is noted by commentators for his excellent knowledge of the law and his results-oriented approach:"He will find a solution where others insist there is none." Associate Aelita Orhei has a growing reputation and works on a broad range of matters with Gladei. Clients say she is "very good and helpful." Significant clients: EBRD, IFC, Black Sea Trade and Development Bank, Zurich Insurance, Alcatel-Lucent. What the team is known for: handles a significant number of debt and loan recovery cases for Moldovan and international banks, as well as clients in construction and manufacturing. Strengths (Quotes mainly from clients): "I have used it for many years and I am delighted to have such counsel." What's new? Associates Corina Voda and Viorica Diminet-Bejan have joined the team. New client wins include Mobiasbanca - Groupe Societe Generale and FinComBank. Work highlights: represented ProCredit Bank in a EUR1.3 million debt collection case. Notable practitioners: Vitalie Ciofu is well regarded for his work in litigation. Sources say: "He is a born winner. When a case is handled by him, I sleep well." "Young and promising" associate Aelita Orhei is involved in the majority of the team's litigation work. Significant clients: Mobiasbanca - Groupe Societe Generale, BCR Chisinau - Erste Group, FinComBank, ProCredit Bank. Gladei & Partners' lawyers 'know how corporations work both locally and on the international market', and are 'second to none on quality of service'. Roger Gladei is 'very well known for finance work and does it well'. He advised the World Bank on legal amendments arising from its Secured Transactions Reform, and represented a US technology company in Moldovan aspects of an $8.5m acquisition. Clients also praise 'passionate and dedicated litigator' Vitalie Ciofu. Published for over 20 years, the Legal 500 provides a comprehensive worldwide coverage currently available on legal services providers, in over 100 countries, highlighting the performances of top law firms and individual lawyers based on interviewing more than 250.000 in-house lawyers and attorneys all over the world. 'Formidable reputation' - from a lawyer to the firm. Roger Gladei has a formidable reputation as a banking and finance expert in Moldova. He is noted by commentators for his excellent knowledge of the law and his results-oriented approach: "He will find a solution where others insist there is none." Vitalie Ciofu has a broad practice encompassing litigious and advisory mandates. He has particular knowledge of dispute resolution in Germany, being a fluent German speaker and counting a number of Germany companies as his clients. In hot pursuit, Gladei & Partners is the Moldovan firm that is closest to upsetting [other firm] dominance of tier 1. The tier 2 firm is led by Roger Gladei, a banking expert. "Roger is by far the best business attorney in Moldova," one client says. "Unrivalled in complex or difficult cases." In the last year, the firm has picked up a number of important clients such as the World Bank, Reckitt Benckiser, Société Générale and the American Chamber of Commerce in Moldova. Gladei advised the World Bank on Secured Transactions Reform in order to improve the access of Moldovan borrowers to affordable financing. The project included legal and regulatory amendments, cost reduction, and guidelines to Moldovan lenders to enhance asset-based lending. The firm also acted for key client, the European Bank of Reconstruction and Development (EBRD), in a €8 million loan to finance the construction of the first full-fledged Moldovan private hospital. "It's is the best value for money, worth every penny," one client says. "I have forgotten about other lawyers when I started working with this firm." THE FIRM Despite its compact size, this firm fields one of Moldova's leading banking lawyers. It advises international financial institutions, including the EBRD and IFC, as well as domestic companies on structuring financing. Key highlights include advising Trans-Oil Group on a complex USD70 million financing from IFC to support its grain trading operations across Moldova. The firm also assists foreign companies and their Moldovan subsidiaries with corporate matters. Such clients include Vienna Insurance Management, Alcatel-Lucent, Kronos Business Group and Alios BioPharma. The firm prides itself on combining industry experience with in-depth knowledge of the law. Sources say: "The lawyers use their knowledge and experience to find a winning solution." KEY INDIVIDUALS Roger Gladei is a leading securities expert with significant experience of loan transactions and regulatory matters. Clients say: "He is excellent at handling complex cases." Recently he advised ProCredit Bank Moldova on raising EUR20 million debt financing from the European Investment Bank. Clients value up-and-coming lawyer Aelita Orhei for her attentive service. She was part of the team acting for Louis Berger on local law matters after securing USD262 million funding from the US Millennium Challenge Compact programme for various public projects in Moldova. THE FIRM This leading banking firm has seen its litigation practice grow with the increased number of corporate insolvencies and personal bankruptcies. It assists banks, leasing companies and landlords with the recovery of debts, including a EUR1.2 million claim by ProCredit Bank against a bankrupt corporate borrower. It also defends the interests of foreign clients in complex commercial litigation involving contract and security enforcement, IP rights infringement, shareholder disputes and cases against regulatory and licensing authorities. In addition to litigating before the courts, the firm advises on alternative dispute resolution. Sources say: "All the available options were identified and compared before commencing litigation." KEY INDIVIDUALS Vitalie Ciofu frequently appears before the Economic Court and the High Court of Justice. He successfully defended JSC Pozit from a USD6 million claim. Up-and-comer Aelita Orhei "knows what steps to take to achieve our goals," confirmed a client. She was part of the team advising Kronos Business Group, a shareholder in a Moldovan telecoms operator, on a corporate dispute. Pride for our firm: Roger Gladei is in premiere ranked as Band 1 lawyer. Pride for Moldova: Vitalie Ciofu is the first Moldovan lawyer ever ranked abroad, as Expert Based Abroad (Germany). Roger Gladei is a leading securities expert with significant experience of loan transactions and regulatory matters. Clients say: "He is excellent at handling complex cases." Recently he advised ProCredit Bank Moldova on raising EUR20 million debt financing from the European Investment Bank. Fluent German speaker Vitalie Ciofu of Gladei & Partners in Moldova advises national and German clients on corporate and commercial matters. He frequently appears in the Economic Court and the High Court of Justice and successfully defended JSC Pozit from a USD6 million claim for its assets. Peers and clients recommend: now in The Legal 500 league. 'Excellent lawyer' Roger Gladei of Gladei & Partners is 'more authoritative in banking than anyone in the market'. Gladei and Vitalie Ciofu have extensive in-house experience at banks, and the firm acts for international financial institutions, including EBRD and IFC, and various banks' Moldovan subsidiaries. Financing, regulatory advisory work and litigation are key strengths of the practice, which often works with international law firms such as Allen & Overy LLP on cross-border matters. 4 years in a row Gladei & Partners are nominated as 'Recommended Firm' in Moldova, whereas Roger Gladei is recognized as 'Leading Lawyer'. Gladei & Partners is an ambitious firm that threatens to end [other firm] monopoly of the first tier. Leading lawyer Gladei has received praise from clients and peers alike. Furthermore, the firm goes from strength to strength and has developed itself quite a reputation in banking and finance matters. The firm has also enhanced its financial services regulatory practice and [Roger] Gladei has been retained to draft new legislation on leasing and non-banking financial institutions. "We're very satisfied with Gladei. It's responsive, good quality and always available," one client says while another adds that, "Roger [Gladei] works 24 hours a day and you can call him anytime." Additionally, clients have drawn out senior associate Aelita Orhei for praise. This firm's client roster is balanced between domestic and foreign entities, such as the Black Sea Trade & Development Bank, Zurich and Louis Berger SAS. The team regularly attracts instructions from international financial institutions as well as local banks. Best known for its banking and finance expertise, it has also seen an increased interest from clients in the telecoms and pharmaceutical sectors. It recently advised satellite TV operator Focus-Sat on its restructuring, including several rounds of equity and debt fund-raising. Another recent work highlight was acting for the EBRD on the EUR7.75 million financing for the construction of a private hospital. Clients praise Roger Gladei as a "diligent, dedicated and responsive" practitioner. His experience as an in-house lawyer for a Moldovan bank is considered a useful bonus for clients. This commercial firm offers a range of services in dispute resolution, including mediation, and is particularly well placed to advise financial institutions. The team has been busy with a number of debt collection cases of late, recently handling a debt collection matter for a Romanian commercial bank, including settlement and court proceedings. 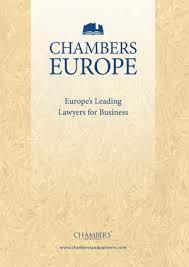 It also recently represented ComertBank in commercial litigation. Other areas of expertise include shareholder and IP disputes. Sources praise Vitalie Cioufu as a "passionate and dedicated" litigator. Aelita Orhei impresses clients as a promising young lawyer. For 3 years in a row Gladei & Partners is nominated as 'Recommended Firm' in Moldova, whereas Roger Gladei is recognized as 'Leading Lawyer'. All Leading Lawyers featured in the IFLR1000 are recommended by peers and clients in their respective jurisdiction during the editorial team's interview process. Gladei is a focused and highly ambitious firm, which is on the cusp of pushing through to tier one. The firm is renowned for having a superlative banking and finance practice, headed up by leading lawyer Roger Gladei, and the firm has got itself heavily involved in what was a very static and tight market. One very interesting deal saw a team, headed by Gladei, advising the European Bank for Reconstruction & Development (EBRD) in regards to a secured loan that was earmarked to fund the building of the first ever Moldovan private hospital, called Medpark. The deal had a cross-border quality, with the firm working opposite Turkish and pan-European firms, with the transaction closing definitively in April 2011 for €7.75 million. Another positive recent deal was Gladei acting for the Black Sea Trade and Development Bank with regard to financing for the Moldovan travel retailer Dufremol. Dufremol had put together an ambitious expansion plan for its duty-free business and the restructuring of these loans helped them to do this. The deal completed in May 2011 for a figure of approximately €4 million. Inevitably, due to the circumstances, the firm also got involved in a number of restructuring and insolvency proceedings too. Roger Gladei once more advised, leading a team that acted for Epamedia Austria, a leading media company, as it put one of its Moldovan subsidiaries into insolvency. Like many companies affected by the crisis, it became distressed, and Gladei is still currently working on this process, with the value of claims represented said to be €4.5 million. Managing partner Roger Gladei, as can be seen from the above, was active on almost all the important work the firm undertook this year, but also made time to help draft a new law for the National Commission of Financial Markets, the new non-banking market regulator in Moldova, as well. Gladei & Partners asscend in ranking, in premiere being top-ranked in both practice areas researched. This firm makes its debut in the table, having built a reputation in the market for its business advisory services. It is well known for handling banking and finance work, and also offers expertise in general corporate and commercial, real estate, telecoms and IP matters. Roger Gladei's in-house experience at a major Moldovan bank frequently attracts banking and finance clients. According to sources, "his business acumen and deep legal expertise make him a lawyer you can always rely on." One of the firm's major clients is the EBRD, which retained the firm to advise on a senior EUR20 million loan to Moldova-Agroindbank. The firm also assisted Moldovan satellite TV operator Focus-Sat with restructuring and financing mandates. Gladei & Partners continues to build its reputation on the market, developing the diversity of its workload over the past year. The five-strong team handles litigation and commercial arbitration regarding a variety of disputes, including the enforcement of contracts, shareholder disputes and infringement of IP rights. "The lawyers prioritise our needs and take a confident yet thoughtful approach," reported one satisfied client. A recent standout instruction came from the Romanian Commercial Bank Erste Group, which selected the firm to handle debt recovery and security enforcement work. Founding partner Roger Gladei led the team on this matter and maintains a visible profile on the market. He also represented insurance company Notabil-Polis in liquidation proceedings. Vitalie Cioufu handles a great deal of the firm's dispute resolution work. He has recently acted for NISTAS on a debt recovery action, involving proceedings in Moldova, Germany and before the ECHR. Gladei & Partners is the only Moldovan law firm to climb up the ranking. This five-lawyer team offers the full spectrum of commercial legal services and has a strong reputation in the market. Impressed clients say the lawyers are "very fast, efficient and work extremely well." Recent mandates include advising key client the EBRD on several projects, notably assisting with a secured loan to the German Diagnostic Centre. The team also advised Romanian shoe retailer Leonardo on the restructuring of its business in Moldova. Managing partner Roger Gladei worked in-house in the banking sector prior to founding the firm and stands out for his prowess in banking and finance, a practice which garners particular praise from market sources. Gladei & Partners has been again nominated as 'Recommended Firm' in Moldova, whereas Roger Gladei in premiere won the title of 'Leading Lawyer'. All Leading Lawyers featured in the IFLR1000 are recommended by peers and clients in their respective jurisdiction during the editorial team's interview process. Gladei & Partners has been increasing its numbers since its establishment, although Roger Gladei remains the main draw to the firm for corporate matters thanks to his experience of banking and finance matters, which is almost unparalleled in the market. He is "extremely knowledgeable, highly experienced and driven toward the best possible solution; a high-calibre, best-in-class professional," says one client. His "native intelligence, business acumen and deep legal expertise make him the lawyer you can always rely on," says another. "Should be regarded as the best finance and banking firm," says a competitor. Partner Vitalie Ciofu has a good reputation in litigation, and along with associate Aelita Orhei advised on some of the highlight transactions. The firm also recently recruited a new associate in Tatiana Stefanet. "You can be sure they will explore all alternatives and find the most appropriate practical solution, both from a business and legal perspective," says one client, while another highlights "intelligence, business acumen and deep legal expertise" as key attributes. In top deals, the firm advised the European Bank of Reconstruction and Development (EBRD) on a €20 million senior loan to Moldova-Agroinbank, the biggest local bank, a second loan to the same bank for €7 million for the financing of energy projects, and a $2 million secured loan or the first private medical diagnostics centre. The firm also acted for Kronor Business Group USA on a €1 million restructuring and equity and debt capital raising and advised the Trans-Oil group of companies as borrower of a $24 million loan from the EBRD and Société Générale France. In other work, Gladei assisted Comertbank Moldova on corporate governance and structuring matters and Donaris Group insurer on business expansion matters. Gladei & Partners has been identified by PLC team of expert researchers as a recommended law firm. Researchers focus on the core areas of commercial law, endorsing law firms and lawyers by practice area, client references and peer review. PLC Which lawyer? is used by in-house counsel, lawyers and law firms when seeking market information and referral partners in foreign or unfamiliar jurisdictions. Covering 120 jurisdictions worldwide, PLC Which lawyer? is the ideal platform to access the global legal market. PLC has over 100,000 registered users, including 90% of the UK's largest law firms, 70% of the AMLaw 100 firms, and 90% of the FTSE 100 and Fortune 500 companies.